Forty-eight million dollars will get you this converted icebreaking tug, which has a 31,000-mile range. That puts far-flung corners of the globe within easier reach compared to traditional yachts. Her 43&apos;6&apos;&apos; beam ensures plenty of space to relax and stow toys; in fact, she’s carried a 40-footer since her conversion in 1994. 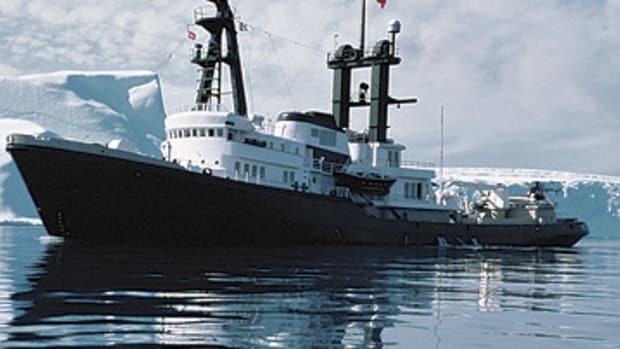 • the yacht has even visited Antarctica.